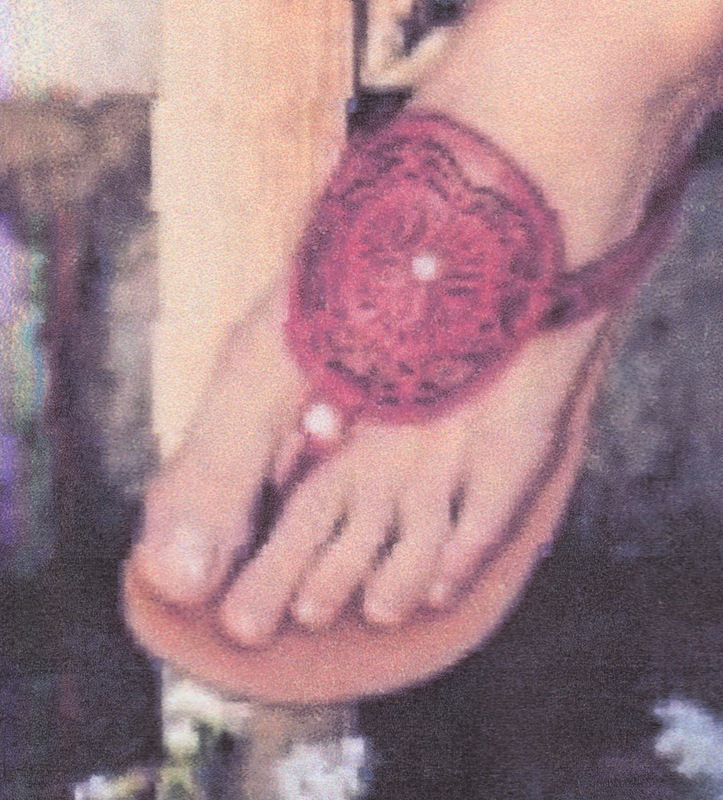 Leather carvers and stampers: make these flip-flops! I get Footwear New via email, and what fun it is to see all the upscale footwear! 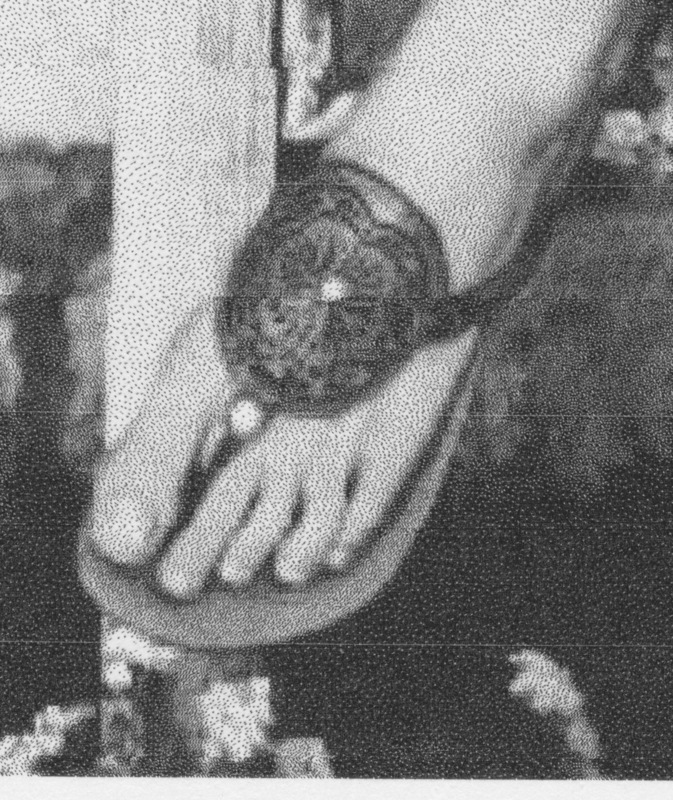 There is an inspiration in every edition; in the latest, I saw this pair of flip-flops with a medallion attached, that I imagine a leather-carver or stamper couldn’t resist recreating with a decoration of his or her own making. If you are a leather-worker and don’t know how to make flip-flops, the process is described in my book Slow Sandals. Flip-flops are especially simple to make if you order pre-cut burgundy straps from Landwerlin Leather (317)636-8300. Do you sell leather or heavy suede soles that wrap up around the foot about 1″ (similar to moccasin soles)? I would like to make some knitted slipper socks and would like to purchase the soles.